Beluga Washed is the name of a chic shirt collection manufactured by the brand Xacus, these shirts are designed for a man who likes to dress casual with a touch of class and sophistication. 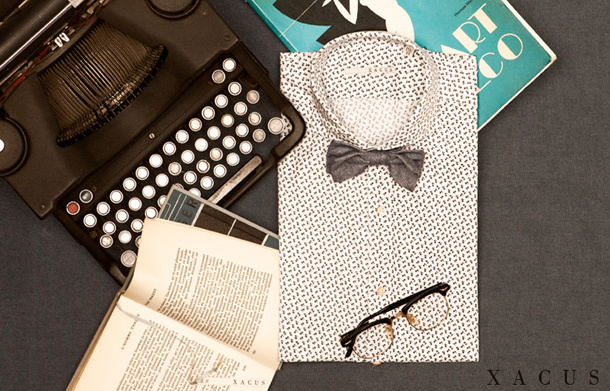 This collection is a modern reinterpretation of the classic vintage style and these men’s cotton shirts are designed and produced keeping in mind the typical elegance and originality that characterizes every Xacus collection. Designed to meet the needs of a contemporary, confident and stylish man, Beluga Washed shirts’ distinguishing characteristics are the fabrics, subjects to special treatments and finishings, that give these shirts an unique and esclusive look. 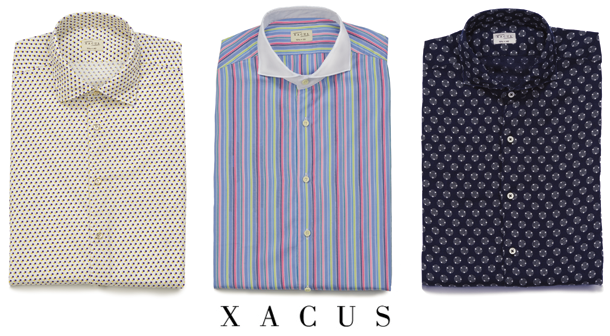 The fabrics of these cotton shirts, soft flannels and velvets, have the typical worn aspect of vintage style, combined with the sophistication that characterizes the entire production of Xacus shirts. For the summer season, the line of Beluga Washed shirts is mainly manufactured with classic fabrics and fine cottons, such as Oxford and Twill, solid color denim, jacquard effects, thin stripes, cheerful patterns and checks. 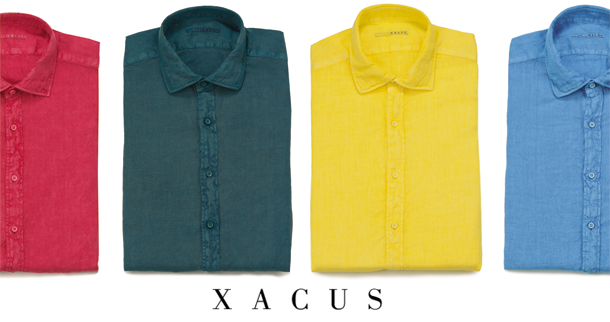 The unmistakable style and elegant tailoring of Xacus shirts is reinterpreted to create a casual style, with distinct and accurate details: the softness of the collar and cuffs and the fabrics in general, the special finishing processes, washes and dyeing methods all ensure unique and exceptional garments. For the summer season, the color palette is made of classic solid colors in light tones, enriched with vivid finishings and contrasting details, various stripes and checks, jacquard and micro patterns, in addition to colorful and sophisticated designs. Xacus has also thought about the next fall-winter season, with a brand new collection of Beluga Washed shirts. This collection is made with soft and warm fabrics, such as velvets, flannels and corduroys, in a wide selection of splendid colors: the most beautiful shades of grey, intense and sensual shades of blue and burgundy, gorgeous hues of orange, yellow and mustard. These perfect colors for fall give a sense of warmth, and the micro-patterns, melange and jaquard effects make these Beluga Washed shirts perfect matched with wool sweaters and cardigans. You can find all the new collections of Xacus on Kamiceria.com. Please leave us a comment and let us know what do you think of the vintage chic Beluga Washed collections of Xacus!